Oct 22, 2013 – DBJ Can Vitamin D delay or prevent diabetes? Site Principal Investigator – Philip Raskin, MD | Philip Raskin, M.D. received his medical degree from the University of Pittsburgh, School of Medicine and completed a residency in Internal Medicine there. 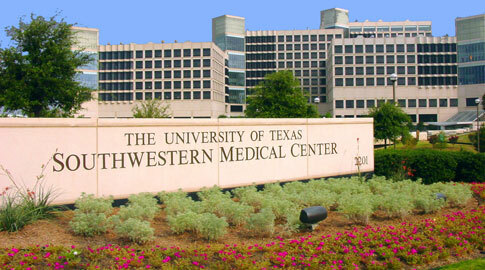 He did a Fellowship in Endocrinology, Diabetes and Metabolism at UT Southwestern Medical Center at Dallas. He is board certified in Internal Medicine and Endocrinology, Diabetes and Metabolism. He is a Fellow of the American College of Physicians and the American College of Endocrinology, and is a Certified Diabetes Educator. He is presently Professor of Medicine, Department of Internal Medicine and holds the Clifton and Betsy Robinson Chair in Biomedical Research at the University of Texas Southwestern Medical Center at Dallas. He is the Director of the University Diabetes Treatment Center and an attending physician in the Diabetes Clinic at Parkland Health and Hospital Systems. He is the Principal Investigator in four NIH funded multicenter diabetes trials: The Diabetes Control and Complications Trial/Epidemiology of Diabetes Interventions and Complications (DCCT/EDIC),TrialNet, Grade and D2D. 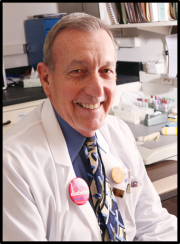 Dr. Raskin is a clinical researcher widely renowned for his work in diabetes, diabetes complications and diabetes management. He was the Editor of The Journal of Diabetes and Its Complications from1990 to 2011 and has served as a past Editor of Clinical Diabetes. He is widely published in such peer reviewed journals, such as the New England Journal of Medicine, The Journal of Clinical Investigation, Diabetes, Diabetes Care, the Annals of Internal Medicine, and The Journal of Diabetes and Its Complications. He has also authored numerous chapters in clinical text books. Site Research Coordinator – Brenda Brightman | Brenda Brightman has worked in the medical profession for more than 25 years. Ms. Brightman began her clinical research career working with neurological disorders. She has long been involved with diabetes studies which ultimately led to her current position working with Dr. Raskin at UTSWMC, where she has acted as a clinical research coordinator on Type II diabetes studies.